It’s no secret that competition is tougher than ever in the auto dealer market. 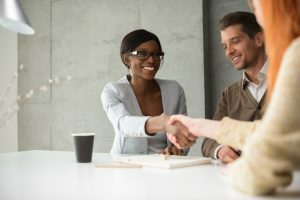 With the move to digital marketing, dealerships have had to get creative to leverage social selling, use new marketing techniques, and blend in the tried-and-true sales methods to achieve success. In the past decade, the number of dealers a potential car buyer visits has fallen from five to less than two. Good marketing will put your dealership front and centre when it comes to ensuring you’re one of those two dealerships for many potential car buyers. Many auto dealers are now engaging auto marketing consultants to help them adjust to the new realities of marketing in the digital age. What should you look for in a consultant to ensure you’re teaming up with the right partner? The first thing you should demand of an auto marketing consultant is experience. How long have they been in the business? How many clients have they successfully served? You’ll also want to pay close attention to how many clients like you the consultant has served. If you specialize in luxury vehicles and you’re partnering with an auto marketing consultant whose experience is primarily with used car dealerships, you may want to reconsider the choice. Ask for case studies from any consultant you consider working with. These cases will tell you more about who they’ve worked with and how the partnership benefited the dealership. Auto marketing has undergone a large shift in the last few years, moving increasingly online. Many dealerships have adopted social media tactics. Others are interested in learning about what these methods can do for them. While very little is proven in the world of auto marketing, you’ll want to consider an auto marketing consultant with the technological savvy to guide you through this new marketing territory. In fact, this may be the primary reason you’re considering partnering with an auto marketing consultant. Take a look at the consultant’s website and consider their offerings. Websites, paid social, and more should be part of the package they can offer you. What does the auto marketing consultant you’re considering offer? You’ll want to find someone who offers several different services and a good deal of flexibility in their packages. While bundles can help you save money, the ability to select the services you truly need and leave behind those you don’t is more important. If you need website services and website services alone, you’ll want to look for a marketing consultant who can help you with this, without offering you a bundle of services you don’t need or want. Keep in mind that you may eventually want to add services, however, and the marketing consultant you choose to work with should be prepared to grow with you. As you scale up your marketing plans and grow the dealership business, your auto marketing consultant should be able to keep up. Another thing you’ll want to consider when you seek to partner with an auto dealer marketing consultant is value. It may be tempting to partner with the firm offering you the lowest price, but this isn’t always the best value. Good customer service, for example, is difficult to put a price tag on. Consider value instead of price when it comes to choosing an auto dealer marketing consultant for your business. Expertise and experience often go hand in hand. Nonetheless, looking for an auto dealer marketing consultant who has expert knowledge of your segment is never a mistake. A luxury car dealership will want to partner with those consultants who have expertise in reaching the clients who populate this market segment. If you look for these five things in an auto dealer marketing consultant, you’ll have a much better chance of finding the right fit for your business.